I did a squee this morning. Recently, I commissioned UK polymer clay artist, Gem Bethany Pricey to make me a lil' raccoon mascot for Raccoon HQ. He arrived this morning and I absolutely love him! 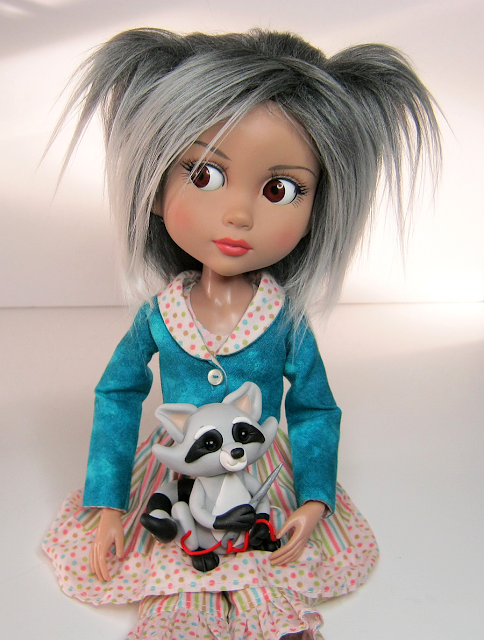 Gem makes the most amazing and adorable little figures, and I can't recommend her highly enough. A look through her facebook page will reveal dragons, kitties, puppies, hippos, gorgeous little Christmas teddy bears, and so many more creative ideas that I don't have room to list them all. I've long wanted to generate a good raccoon logo for my teeny business, and was dead chuffed to find a UK artist who could make me one. 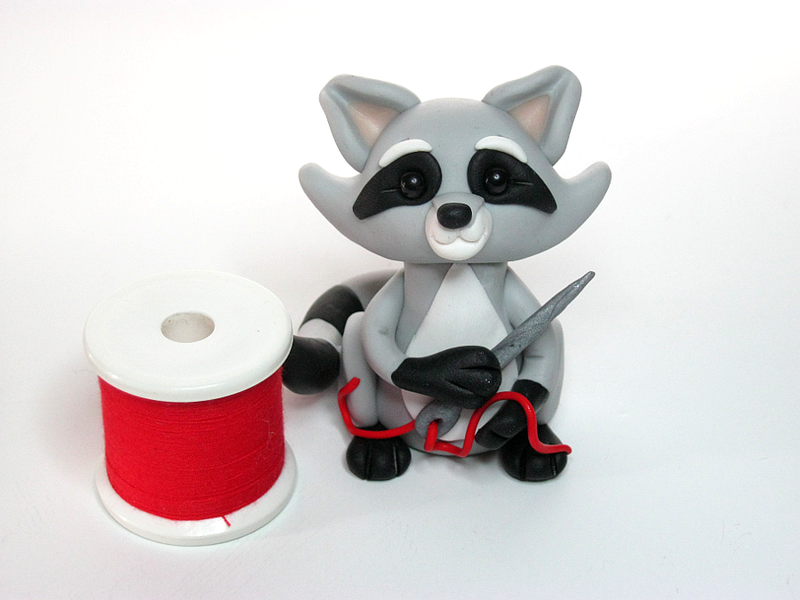 Here he is... a little tailor threading a needle ready to get down to work. 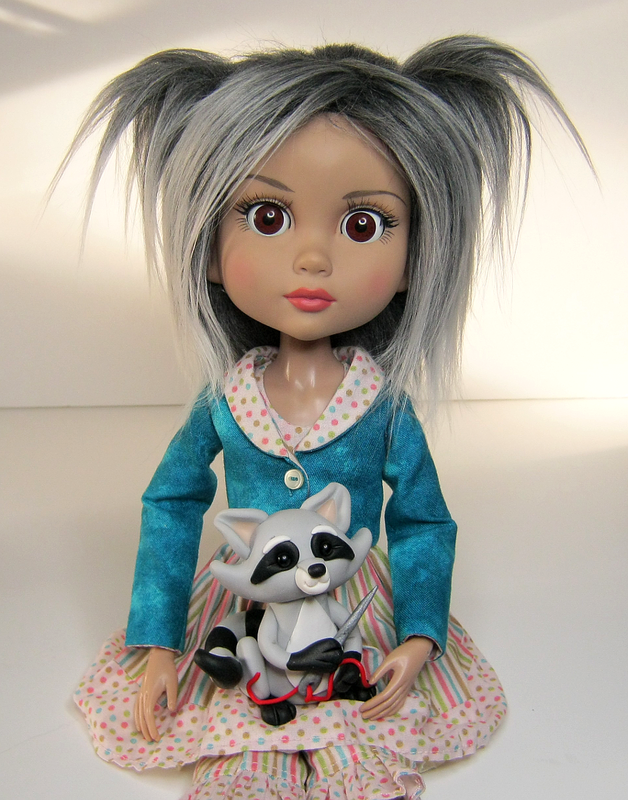 And one with Patience, who has stolen Gracie's grey wig because she thinks its Raccoon-y. And I had to just throw in this last pic, because her eyes went straight purely by accident. Whenever this happens, I feel duty-bound to take a picture. She does look a bit shell shocked though. I'm going to be playing with this new little guy a bit, experimenting with filters to make a little graphic. Thanks again Gem, I couldn't be more pleased! I think the wig looks better on Gracie - who doesn't mind so much as she's currently wearing a lovely new wig that's blonde and pink. Not one I made, but one I accidentally won in an auction. I didn't think I'd win the bids, but I did... and luckily it's a really lovely wig! Really looking forward to seeing Ell in her new coat! 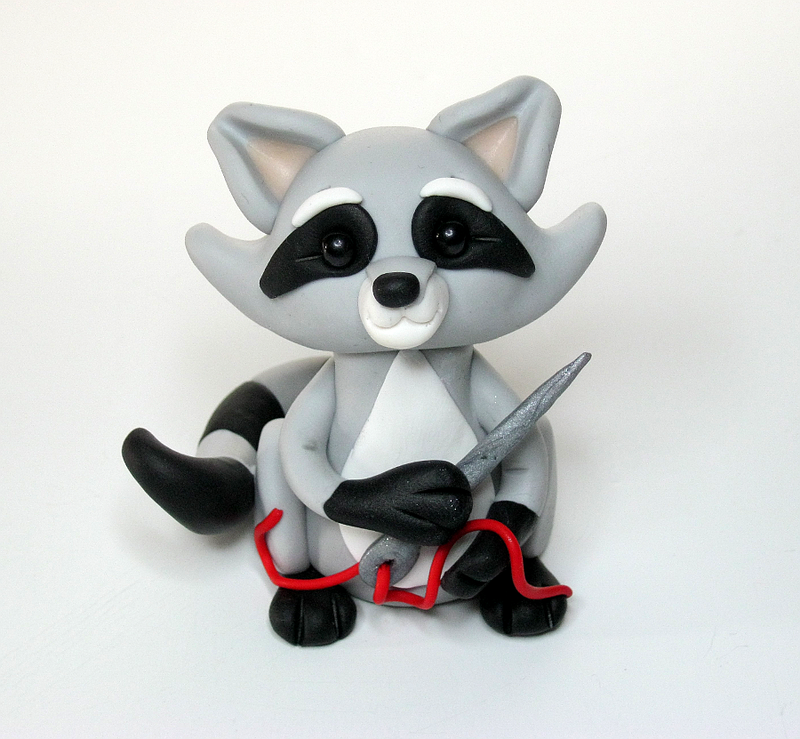 I wanted a better raccoon logo, so Gem, the artist, was kind enough to give her permission for me to use him. He's so cute! he's on my desk now, cheering up my day.